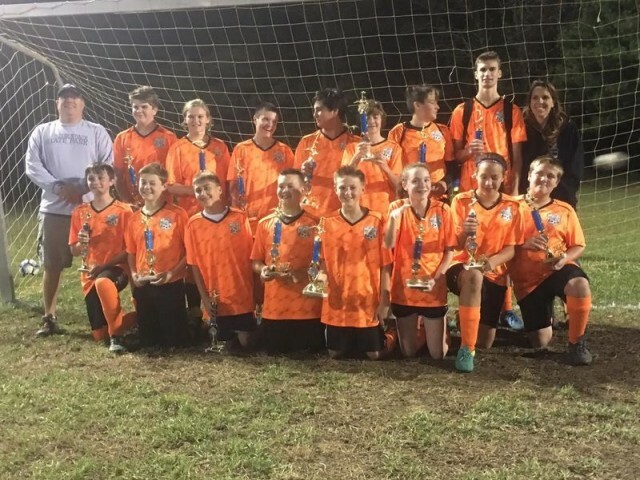 Updated Saturday June 9, 2018 by Kent Island Youth Soccer League. Under the lights on Thursday, November 2nd, the Avengers and Flash played a phenomenal game. Tied 0-0 at the half, the Avengers scored a goal to take a lead, but were quickly matched by the Flash. With the clock running out in the 2nd half, the Avengers scored off a corner kick, heading the kick in to win the division championship. The Avengers were coached by Matt Ritz and Debra Robinson and the Flash were coached by Jason Pell and David Mohr. Congratulations to the Avengers on their win and the Flash for a great playoff run. What a game!